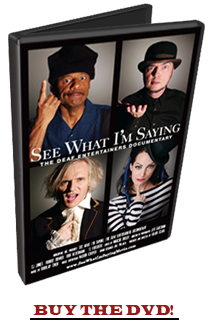 "Complex, candid and all-but-essential viewing for hearing audiences, Hilari Scarl's intrepid debut feature, 'See What I'm Saying: The Deaf Entertainers Documentary,' educates without lecturing and engages without effort." Last week I ran into some folks associated with See What I'm Saying, a new documentary that follows four entertainers trying to make it big: a comic, an actor, a singer and a drummer. 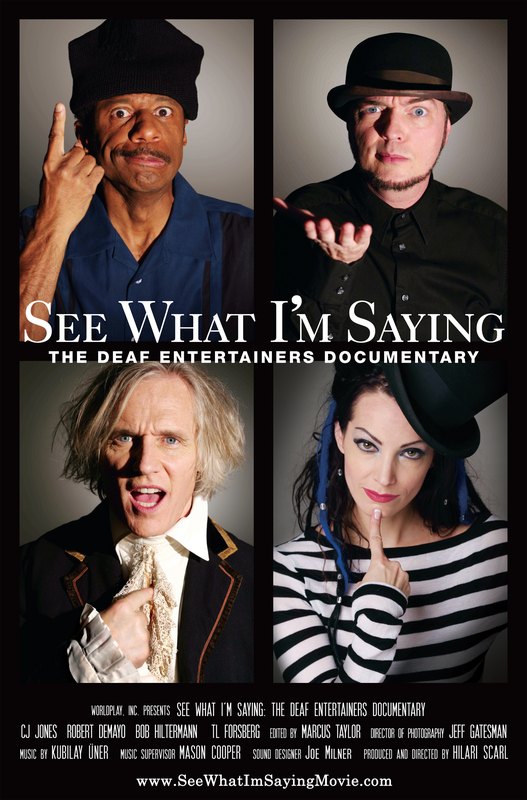 "This new film about deaf entertainers looks like something I must see." "See What I'm Saying documentary a sign for deaf entertainers"
"See What I'm Saying is a prime example of a documentary 'done right'." Read the rest. "Unique... This preview will not pretend to do it justice"
"Hilari Scarl sees what we're saying..."
iDeaf News in New York City - Global Deaf Women/Sofia Seitchik interviews Hilari Scarl. Video in ASL. 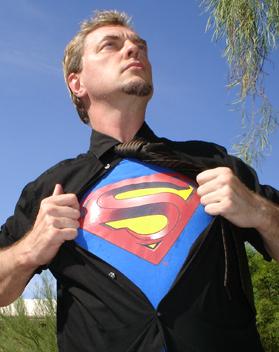 See What I'm Saying's strength lies in giving you reason to care about each individual and their refusal to give up. This Is Life - Radio Interview Hilari Scarl interviews with Kathy Buckley, Geri Jewell and Toby Forrest as their first guest on THIS IS LIFE. As we follow Robert DeMayo through the streets and subways of Manhattan's Upper West Side, the world suddenly changes. Some things, like the construction site DeMayo passes on Broadway, emit nothing more than a low rumble--what you might hear if your ears were submerged under water--and it's as if everything else has been put on mute. This includes the squealing baby DeMayo sits beside on the subway, and it includes the voice that comes over the loudspeaker to announce the train's next stop. In this world without sound, we know what the voice on the subway is saying because we're watching a movie with captions; but, DeMayo is not. As one of nearly 30 million members of the American deaf community, DeMayo experiences this world on a daily basis--and filmmaker Hilari Scarl wants you to experience it, too. See What I'm Saying, which premieres March 18 at the Egyptian Theatre in Los Angeles, follows a year in the lives of four deaf entertainers--comedian CJ Jones, drummer Bob Hilterman, singer TL Forsberg and actor Robert DeMayo--as they struggle to nudge their ways into mainstream media and gain recognition for their talents. This is a community of people that is widely overlooked, Scarl says, and, more importantly, largely misunderstood. "When I moved to Los Angeles and started working in television, I noticed that there were no deaf actors getting hired," she recalls (She has produced programming for CBS, History, TLC and Court TV). Or, if they were hired, it was for roles written specifically for deaf characters. 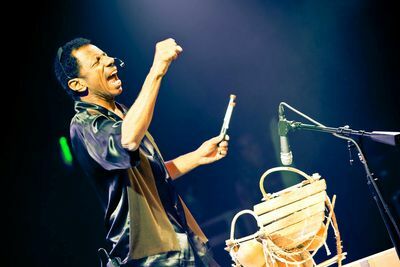 CJ Jones, featured in Hilari Scarl's See What I'm Saying. See What I'm Saying is an attempt to bridge the divide between the deaf community and the hearing world. "I want to change people's misconceptions," she says. Part of this effort manifests itself in the film's production technique--like, for example, in the scene described above. "A lot of filmmakers in the past have incorrectly given the point of view of a deaf person by turning the sound off, when, actually, that's the experience for some deaf people, but not all deaf people," Scarl explains. DeMayo worked very closely with the film's sound supervisor, Joe Milner, to convey the subtleties of the audio he actually does take in. Scarl further enhances a sense of intimacy between the characters and the audience by using a single, hand-held camera (often operated by the director herself) to follow each character through his or her daily routine. "I knew it was really important for me to tell these stories from their perspective," Scarl maintains. "Their community has been misrepresented by so many people who have tried to communicate it from a hearing person's vantage point." Though Scarl herself is not deaf, her ties to the deaf community stem back nearly two decades to when she saw her first deaf performance, staged by the New York Deaf Theatre. "It blew my mind," she recalls. "The art is so powerful. It's a three-dimensional display of emotion through sign language, which makes the actors' performances really come through." This experience prompted Scarl to audition for the National Theatre of the Deaf (NTD), with which she ended up touring for over a year. The experience "changed my life," she says, and planted the initial seeds for See What I'm Saying. "I got absorbed into the company"--which was made up of 17 other deaf actors, including DeMayo--"so I got to experience life through their eyes." Scarl was inspired by the strong bond that connected members of the deaf community, but she was also appalled by how her fellow actors were treated in public. 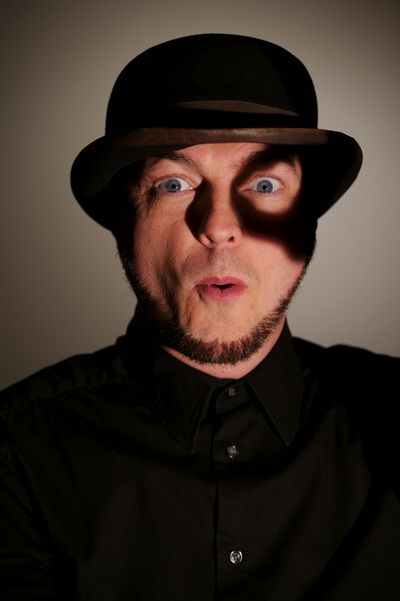 "For instance, we would go to a restaurant and I would watch as the waiters would treat them like they were invisible. They would turn to me and ask, ‘What do they want?' And I would say, ‘I don't know! Why don't you ask them?'" Scarl began production on the documentary in 2007, the same year she became a semi-finalist for Steven Spielberg's production-based reality show competition On the Lot. Though Scarl did not make it to the finals, she used her "15 minutes of fame" to start raising funds for the documentary, and ultimately secured about $8,000. This, in addition to charges made to her personal credit cards, helped jump-start the rest of the shoot, which, in the end, amounted to interviews with 50 deaf performers, clocking in at 300 hours of footage and 700 pages of transcribed audio--all translated by Scarl, who is fluent in American Sign Language. 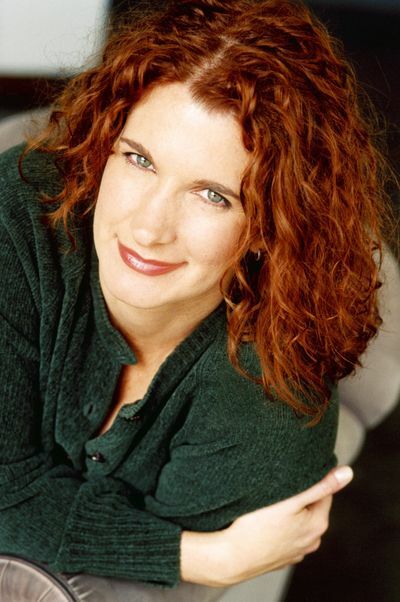 Hilari Scarl, director/producer of See What I'm Saying. Microsoft eventually signed on as a sponsor, covering all the expenses to make this the first American open-caption commercial film in history. And Sprint, which provides translation for the deaf community, called Video Relay Service, is financing the film's red carpet premiere, March 18 at the Egyptian Theatre in Los Angeles. Sprint has also partnered with the film for a 25-city tour that will hit 400 mainstream screens across the country. Given the scope of the production, Scarl sought out Sandra Ruch, former executive director at IDA, who, with the help of various focus groups, managed to whittle the narrative down to the four storylines that most resonated with test audiences. 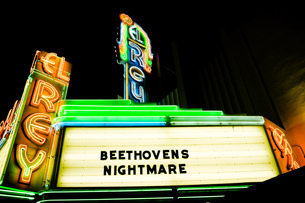 While the overall arc of the story centers on two major events--the first International Sign Language Theatre Festival in Los Angeles, staged by Jones; and a live performance by Beethoven's Nightmare, "the world's only deaf rock band," fronted by Hilterman--each character faces poignant personal issues over the course of the film. For example, Forsberg, who is technically "hard of hearing," struggles with her identity when she is told by music producers that she is "not deaf enough," and DeMayo, a deaf actor who struggles to find part-time work in between acting gigs, ends up living on the streets when he can no longer afford to pay rent. The latter issue posed a particularly difficult situation for Scarl, who wanted to document DeMayo's experience, but, having worked alongside the actor professionally and having maintained a friendship with him over the years, found it difficult to remain an objective observer. "When I showed up to film him, he was living on the streets in Philadelphia and going through a really rough time," Scarl explains. "After a couple of hours of filming, I actually brought him back to my hotel room. That was one of the times I broke that boundary between friendship and working relationship. I would have had a very difficult time coming back to this hotel room while my friend was sleeping on the streets." However, Scarl insists that this didn't affect the integrity of the film. "I was still able to document what was happening and tell his story truthfully," she says. In the end, this is what she's most proud of. The film has won several prestigious awards--including top documentary honors at the Philadelphia Film Festival and the Newport Beach Film Festival, as well as the Grand Jury Award and the Audience Award at the D.C. ASL Film Festival--but Scarl says she is just deeply honored knowing that members of the deaf community actually feel like their story is getting told. - Daryn Kagan, (former CNN anchor) featured on DarynKagan.com. "When you're deaf it is doubly hard to get the rest of the world to hear you, let alone listen to what you have to say. In See What I'm Saying, Hilari Scarl's doc in progress, the filmmaker follows four deaf entertainers who, through their brilliance, have found an audience: a comic/producer/actor; a drummer in an all deaf rock band (Beethoven's Nightmare); one of the country's top sign language translators who teaches at Juilliard; and a singer who lost her hearing at the age of eight and so feels caught between two worlds as she produces her first CD, 'Not Deaf Enough.'"